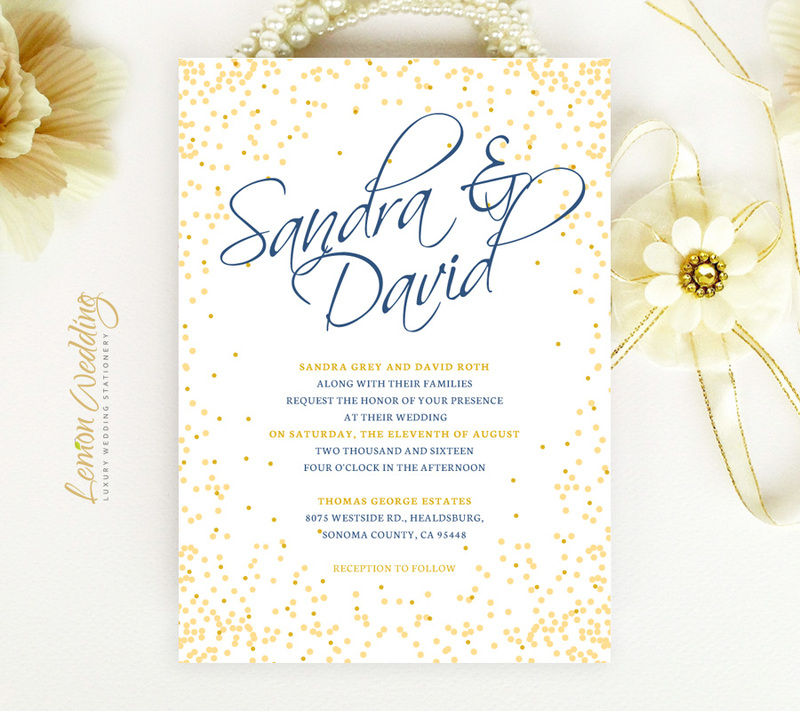 Inform your wedding guests of your upcoming big day in the most exquisite manner with our Customized Wedding Invitations. 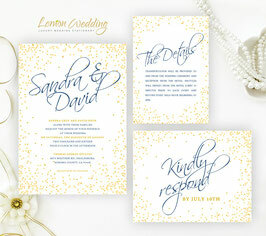 Our beautiful invites will announce the details of your upcoming nuptial in style. 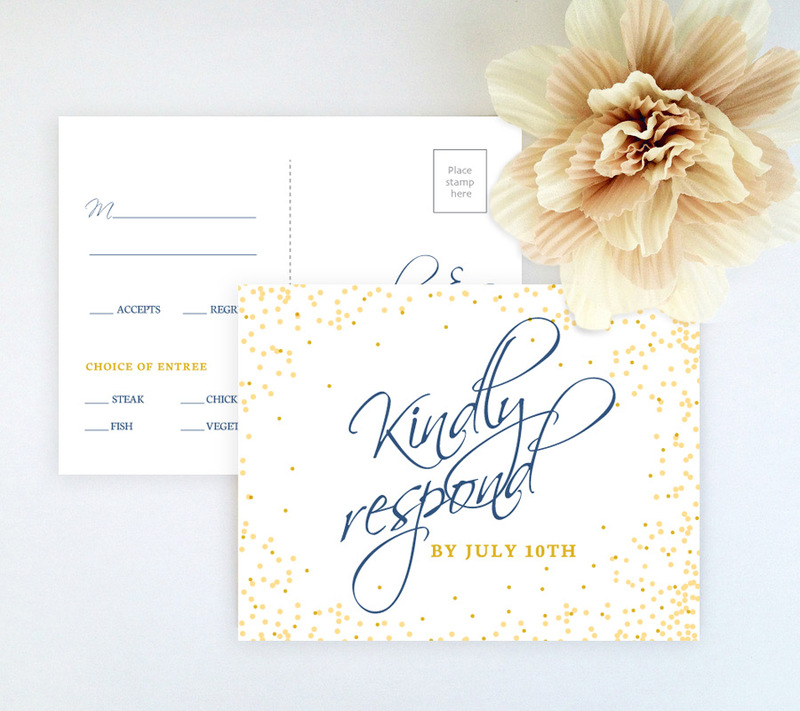 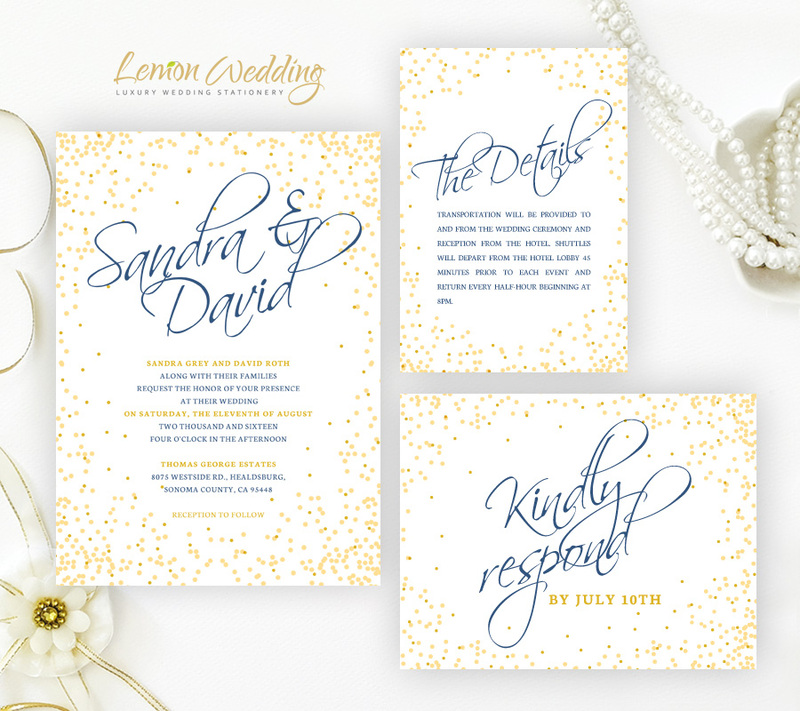 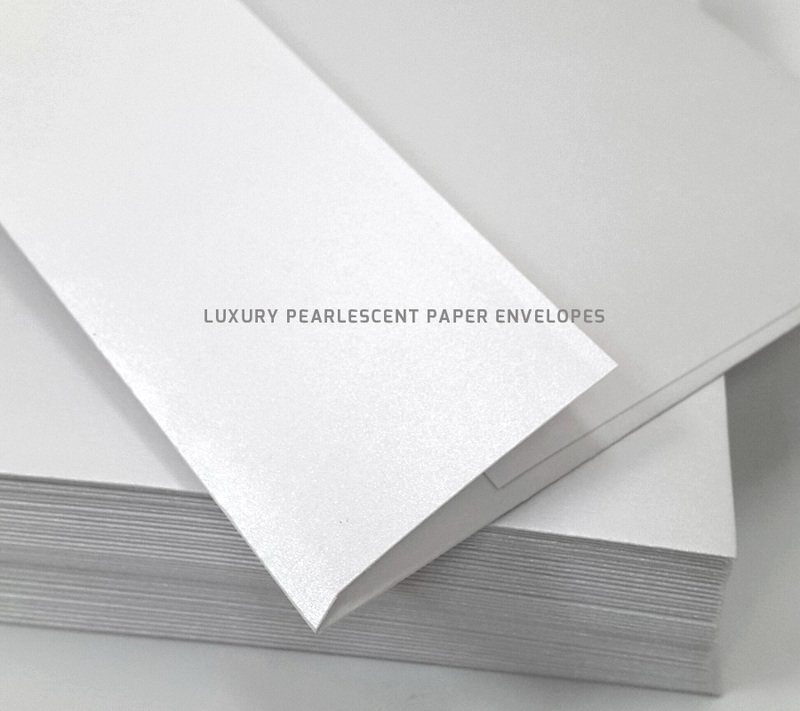 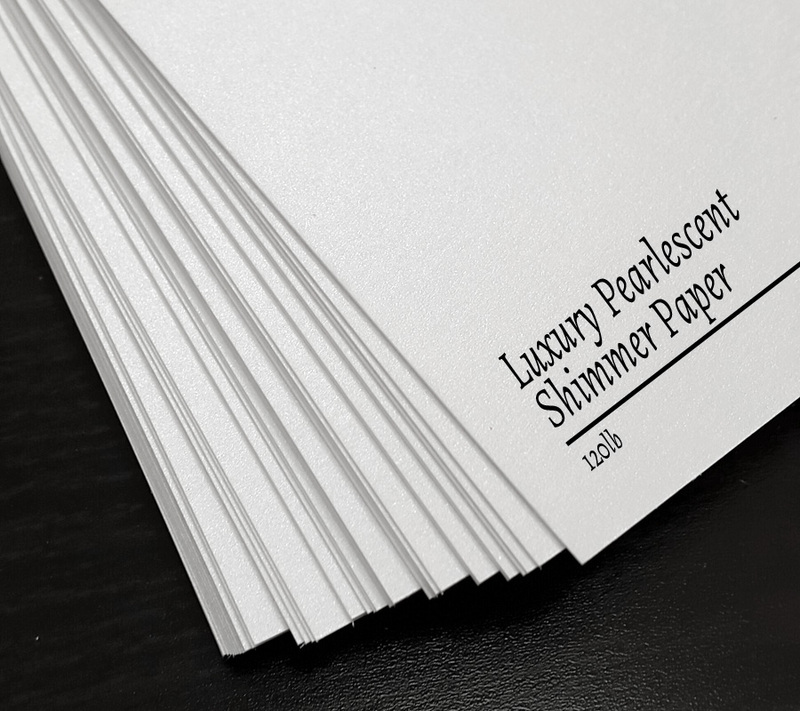 Printed on luxury stock paper with a shimmering finish, each card will be decorated with gold confetti style dots and navy blue font.